The Missouri Conservation Department’s ban of feral hog hunting on conservation areas is underway. 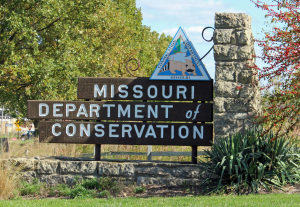 MDC’s Commission voted in June to prohibit the hunting of wild pigs on conservation areas in an effort to eradicate the animals. Spokesman Joe Jerek says about 30 of the department’s 1,000 conservation areas are having problems with feral hogs. Jerek says several private landowners are also having problems with the destruction caused by feral hogs. MDC officials say hunting wild pigs causes them to scatter, making it challenging to trap large herds. “In research from other states, we know that hog hunting actually increases feral hog numbers and locations because oftentimes it provides an incentive for the illegal release of feral hogs for future hunting,” says Jerek. He also says the animals can carry diseases that could spread to livestock and compete for food with wildlife. The ban isn’t embraced by all, including some state lawmakers. Opponents of the ban, like Representative Robert Ross (R-Yukon), say it’s counterproductive to the ultimate goal of eliminating feral hogs. He has questioned the costs incurred by the Conservation Department for trapping and killing the animals. Opponents of the ban contend that private landowners killing the hogs saves the state money. Violators could be fined and lose hunting privileges if they are caught hunting feral hogs on MDC land. According to Jerek, about 3,600 wild pigs have been killed in Missouri this year by MDC.